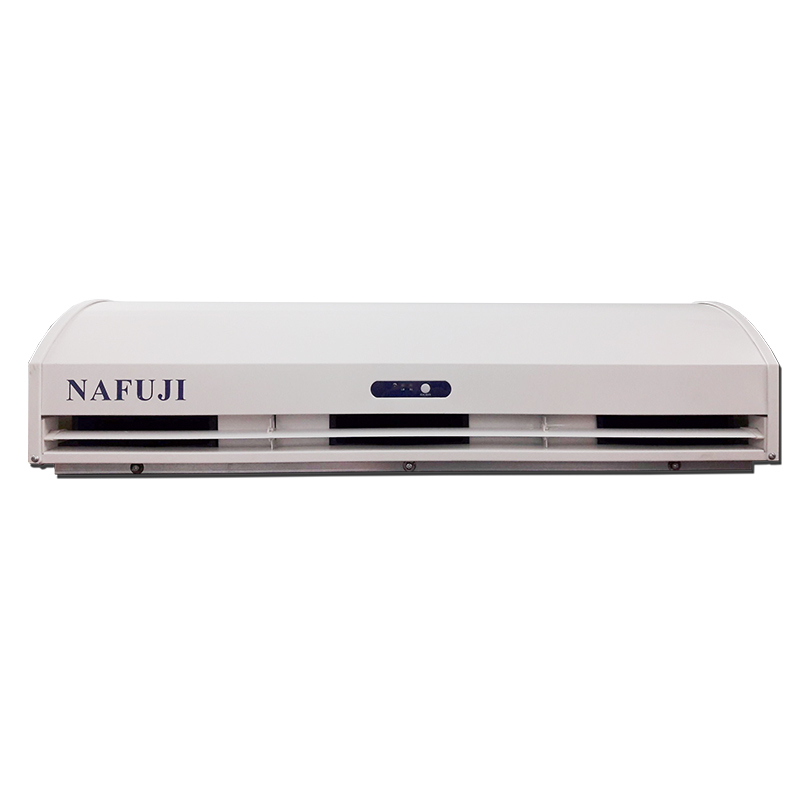 Nafuji Air Curtain have innovated World Class Air Curtains made with Hi-Tech Modern Technology under strict quality control combined with style and performance to give round the clock efficiency and in turn provide trouble free operations for years to come. • Air Curtain is an environment, separation equipment which prevents outside air, insects and hot air entry to the conditioned area through the open door ways or the door being opened at frequent intervals. • The principal of Air Curtain is that it blows the atmosphere air to constant velocity at the doorways and forms a Air stream for the entire width and height of the door openings. • The velocity will vary depending on the effective throw of the air stream. Moreover, you can reduce your energy consumption considerably by holding the uniform cold air temperature at the air conditioned area. • In Total it is an energy conservation unit for the air conditioned area. It also eliminated the flies and other small insects infiltration through an open door in order to maintain the required hygienic standard in the specified areas. • Our commitment to quality at economical Rates had made millions to provide comfortable environment in their establishments. • Insect air curtains are commonly used, when necessary, to stop insects from entering a buildings like food processing plants, bakeries, restaurants, hospitals, etc. Bugs in flight approaching will be stopped by a barrier of air too powerful to penetrate. • Due to big temperature differences, it is highly recommended to install air curtains to reduce the energy losses when the door is open. The higher the temperature differences between inside/outside, then higher are the energy losses when a door is unprotected.